Matudnila.com - A Cebu Events Blog: Starbucks Apricot & Peach Yogurt Frappuccino, Islands collection & more! Home Starbucks Rewards Starbucks Apricot & Peach Yogurt Frappuccino, Islands collection & more! 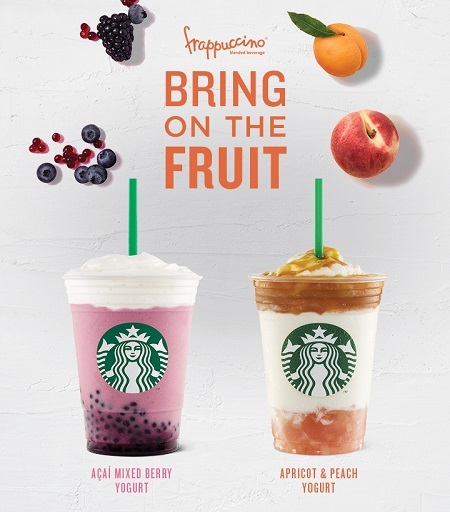 Starbucks Apricot & Peach Yogurt Frappuccino, Islands collection & more! In few weeks time, the -Ber months is here with us again which means Christmas is just around corner :) But before that, Starbucks has something for you to keep refreshed and savor most of our summery weather. Bring on the fruit!, a returning Frappuccino blended beverage Acai Mixed Berry Yogurt combines the tanginess of the acai berry with cooling yogurt and juicy mixed berry pearls topped with milk foam. While the new Apricot and Peach Yogurt is layered with aromatic peach jelly, real white peach bits, tangy yogurt blend and a topped with apricot sauce. These beverages are available up to September 10, 2018 only. 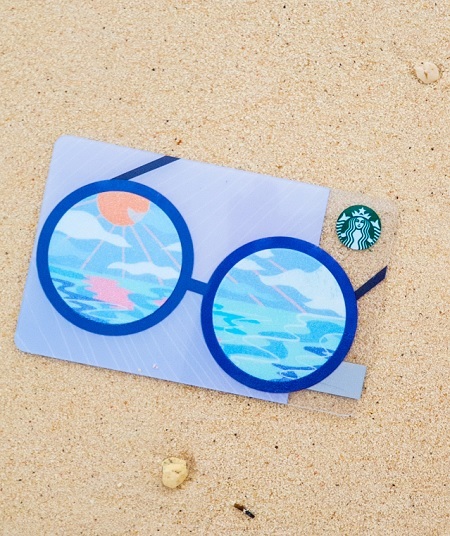 My Starbucks Rewards featured Card which will compliment our humid weather is the new Summer Shades Starbucks Card. Available for an initial activation amount of 300 pesos. Bring it with you to the beach together with your swim wears and gears! Starbucks Philippines is proud to introduce its Island Series Collection that features the colors and symbols of the three island groups in the Philippines. These Island Series were made available just in time for country's 120th Independence Day. Luzon Island Series Mug features a glossy decal with gold foil highlighting the night scenes of the business districts of Luzon with outer and flood color in matte vibrant blue. A debossed artwork of Sampaguita flowers and coconut palm tree leaves in gold foil representing the Visayan beaches is what the Visayas Island Series Mug portrays. With outer and flood color in matte yellow ochre. The glossy decal of the iconic Vinta boat with a sail in various colors that represent the Mindanaoan colorful culture and history, coloured with red Bordeaux from outer and flood. All Starbucks Island Series Mug are 16oz ceramic Mug priced at 995 pesos that comes in a collector box packaging and a Starbucks wordmark logo is laser engraved on the side of the mug. The similarly designed Starbucks Card is also available and has 500 pesos initial amount. Availability for each series designs is exclusive to each Island group stores and select Airport Stores. 0 comments: on "Starbucks Apricot & Peach Yogurt Frappuccino, Islands collection & more!"